Weng Zaballa: Nestle Fitnesse 14 Days to Show Off Your Shape: Dinner with Designers, Fashion Jury and Nestle Fitnesse Execs. Nestle Fitnesse 14 Days to Show Off Your Shape: Dinner with Designers, Fashion Jury and Nestle Fitnesse Execs. 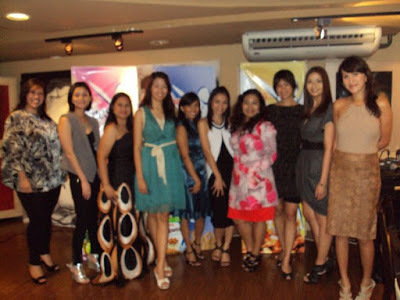 Team Earthingorgeousness, winner on the first-ever Nestle Fitnesse 14 Days to Show Off your Shape Challenge attended an intimate dinner with designers, fashion jury and Nestle Fitnesse team last night. For a simple person like me, the event can be considered as a once in a lifetime event. I was able to meet the person behind our gorgeous outfits. 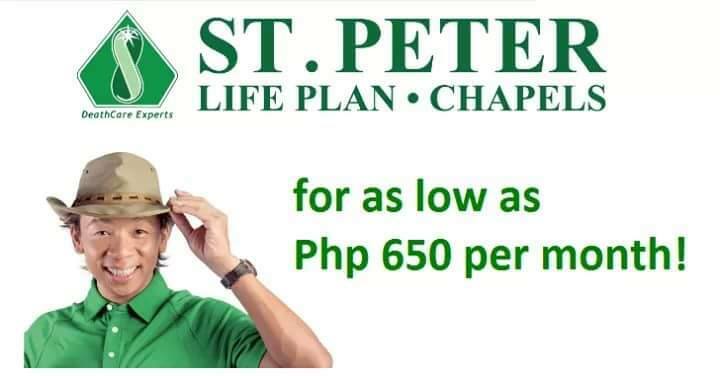 Winning this contest increased my self-confidence for it made me realized that every woman, young and old, married or single, deserves to have a healthy figure despite her multiple roles in this society. 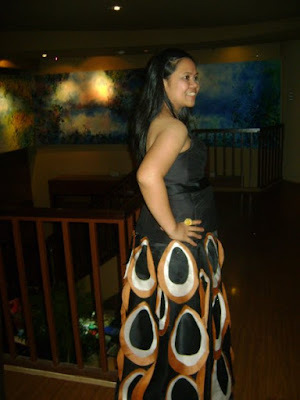 That's me wearing my elegant Rhett Eala gown. Kessa. Kessa works in a call center. 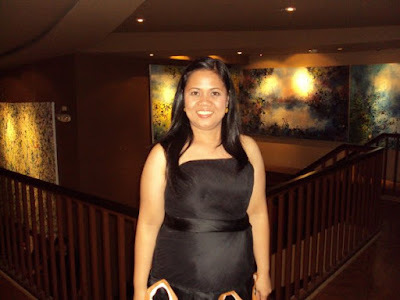 In fact, she went straight from her shift and made it to the Nestle Fitnesse 14 Days Challenge Weigh-In and Public Launch last November 14, 2009. I discovered that this lady loves collecting make-up and even maintains a separate blog about beauty and fitness. Belle. We have a number of similarities. We both work in a local government unit and both are busy mothers of smart and active toddlers (my daughter Althea is 3 years old while her Yana is 2 years old). Earth. She is our team leader. 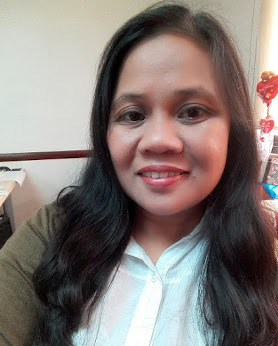 She's the one who encouraged every reader in her blog to join in the challenge. Initially, a team of 6 was formed through her blog post but Kessa, Belle and I made it to the initial weighing that also kicked-off the 14 days diet program. Meet the designers Rhett Eala, Kate Torralba and Michi Calica-Sotto. Ms. Glenda and their merchadiser represented Religioso. 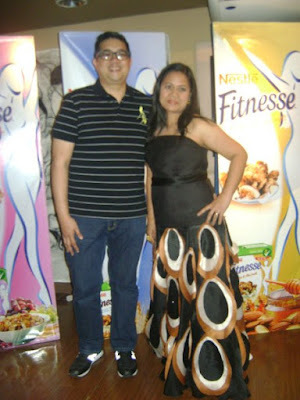 Ms. Myra Garcia, Nestle Fitnesse Marketing Manager is also with us. Meet the pretty faces who carefully chose the wardrobes that we've won. From left to right: Pauleen Juan, Bianca Consunji, Audrey Carpio, Rissa Mananquil and Donna Cuna-Pita. 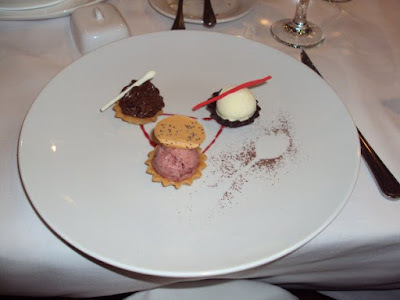 This is our yummy dessert at Lolo Dad's Brasserie at 6750 Ayala Avenue Makati City. We left the restaurant starstrucked, flattered and with wide smile on our faces. We really had a wonderful celebration of success and new friendship.